The brilliant themes just keep on rolling over at Wandering through the Shelves. This weekly series has been a blast so far. I'm gonna get deep and dark on this one. 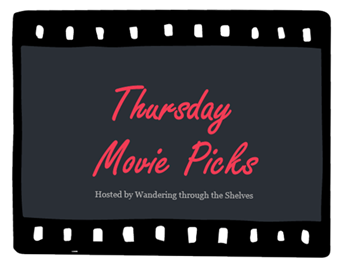 Oftentimes, as movie lovers, we delight in the choices of our favorite characters. We enjoy identifying with mistakes that people make, mistakes we've made ourselves. Other times, we cringe knowing that our hero is setting him/herself up for a huge embarrassment, even some catastrophe. And then there are the mistakes that keep on coming. Mistakes that build tension, dread, suspense, even horror. Mistakes that haunt the characters. Mistakes that, in turn, haunt us, sending a sensation through our bodies that cannot be described with words. Note: Please don't think I'm one-note. I know I used a Coen Brothers' movie last week as well. I can't help it. I'm just a huge fan. Bill Macy's Jerry Lundegaard is one in a long line of Joel and Ethan Coen's victims. He is my favorite, though strong cases can be made for Oscar Isaac's Llewyn Davis in Inside Llewyn Davis, Billy Bob Thornton's Ed Crane in The Man Who Wasn't There, or Michael Stuhlbarg's Larry Gopnik in A Serious Man. He is a bumbling, nervous, weakling of a man to begin with, then the Brothers just go to work on him. It is one mistake after another. The film is masterpiece of tone, building a sense of tension and pitch dark comedy that no other movie, for me, has ever done before or since. The Mistake: Involving oneself in a horribly conceived kidnapping plot. Just to start. 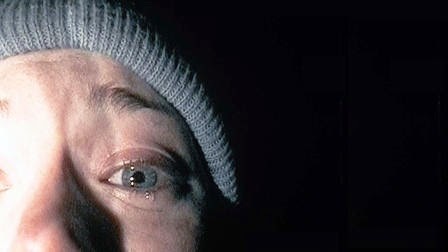 The great-grandfather of the "found footage" movie that is The Blair Witch Project is the scariest movie ever made in my opinion. I am not a fan of horror movies. Never have been. Jump scares make me angry. I prefer "scary" movies that are about real human fear. That is what this film is all about. It terrifies me every time. It is about obtaining fear in the mind, going into a dark place, and finding that fear is real...maybe. The Mistake: Walking into a dark wood with not enough smokes and terrifying stories on the brain. Todd Field's feature debut is one of the most well-made movies I've seen. It is utterly shocking, dark and tragic. It is about a mistake, one big mistake, that isn't really what one would normally consider a mistake. It's about the choice to get into a relationship, but, for those who haven't seen it, it is certainly not a "Fatal Attration"-type scenario. Nick Stahl plays Frank Fowler, home from college for the summer, who strikes up a relationship with an older, yet gorgeous, woman, recently separated from her husband and father of her child, played by Marisa Tomei. His parents, played by Tom Wilkinson and Sissy Spacek, warn their son that this may not be the best decision. He may be getting himself into more than he can handle. Are they right? This is a film of incredible power. The feeling I got in my stomach when this movie makes an early, totally unexpected turn in plot, has never been matched. And the performances from all the actors, especially Wilkinson and Spacek, are career best across the board. The Mistake: Trusting that you're able, as a young man, to handle a relationship with a woman with so much more experience...and baggage. Of course, the outcome found in this film isn't typical, but these things happen. Just a few hours ago I was going to buy this bargain of a Fargo DVD with lots of special features like Roger Deakin's commentary track... I ended up dismissing it, but now I'm regretting it. I've always loved it as much as you do. Big mistake! I do that kind of thing all the time. I talk myself out of buying something I know I should have. Come to think of it, I need a Fargo upgrade. Think I might pick up the remastered Blu soon. Thanks for stopping by, man! These are excellent choices, and ones I never would've thought of. Reminds me that I need to see In The Bedroom.. Thanks so much. In the Bedroom is so great. It will stick with you forever. In The Bedroom... GAH I love that movie so much. Although I would say that the Irreparable Mistake is what happens at the end - how does he come back from that?!? Also: No, I have not seen Blair Witch since I saw it in theaters, and no, I am not ashamed of that. That thing is freaking SCARY. Agreed. I didn't want to say too much about it, so I shyed away from how that first decision by the Stahl character really leads to real mistakes. Such a dense, haunting movie. You are so right on about Blair Witch. I was in high school when it hit theaters. Then, I re-watched it about 5 or 6 years later, by myself, at night. That was a mistake. OMG! In the Bedroom is in my Top Ten movies...OF ALL TIME!!!! Love that movie so fricking much! Great application of the theme this week. Now go watch Mean Creek! Thanks man. One of my favorites ever as well, though it's been hard for me to revisit it. Mean Creek is going on my Netflix queue ASAP. 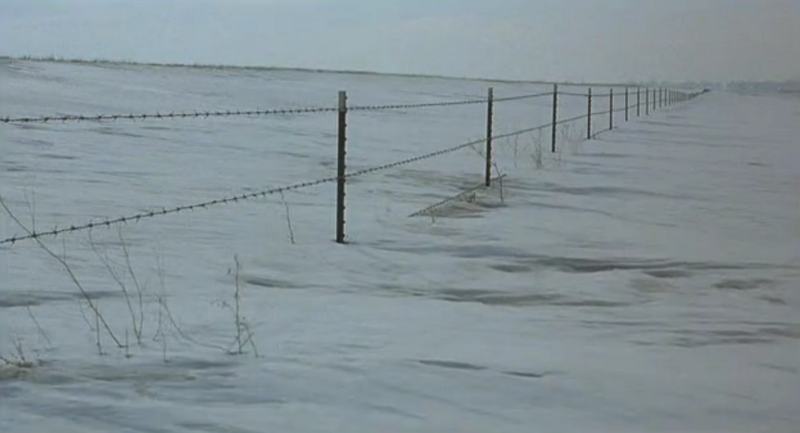 Fargo is a great movie. Mistake #1 was killing someone in Marge's jurisdiction. Sorry, but he only thing I found scary about Blair Witch was how boring it was. And I hate that ending. I know I'm in the minority on that one, so don't mind me. Haven't seen your third choice. Sounds interesting, though. Glad you're still playing along. Good call, Wendell! You don't involve yourself in any "malfeasance" in Brainerd, MN, when she's running the show. I find Blair Witch brilliant. Always have. After The Exorcist, it's the only movie that ever made me lose sleep. I could not get it out of my head. Good pick with In the Bedroom...wow seems like such a long time ago when I saw it. Thank you. Great theme this week! Need to re-watch myself.